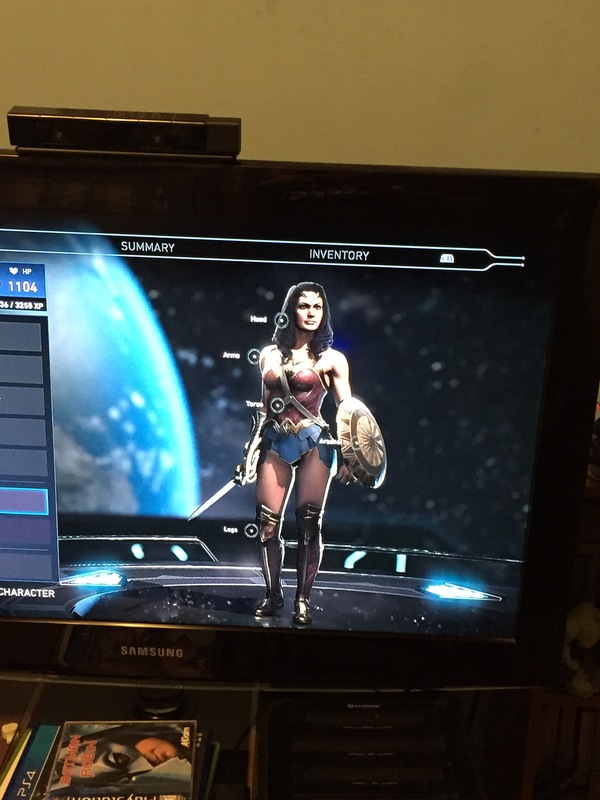 The first ever live-action Wonder Woman film arrives in theaters this weekend, and while there’s (probably thankfully) no tie-in movie game launching alone side it, you can still play as the movie version of the character within the excellent Injustice 2. In the console and PC version players must complete the new Multiverse event “To End All Wars” wherein they’ll be rewarded with gear pieces that will eventually unlock the full film costume, including weapons. The event of course must be played exclusively with the Wonder Woman character, and wisely there’s no high level cap to enter the event; A level one Wonder Woman can start and finish the event. If you’ve at the very least finished the Injustice 2 campaign it should be no trouble. I’m by no means good at the game, and I managed to get through the event with not that much trouble (don’t be intimidated by the level 20 character at the end). Proof that if I can get the Wonder Woman movie costume, ANYONE can. Special cards inspired by the film and its character also arrive for the free-to-play mobile version of Injustice 2, starting today.